How to get to Sendai? If you come from abroad and land on one of the airports in Japan then take a connecting flight to Sendai International Airport. 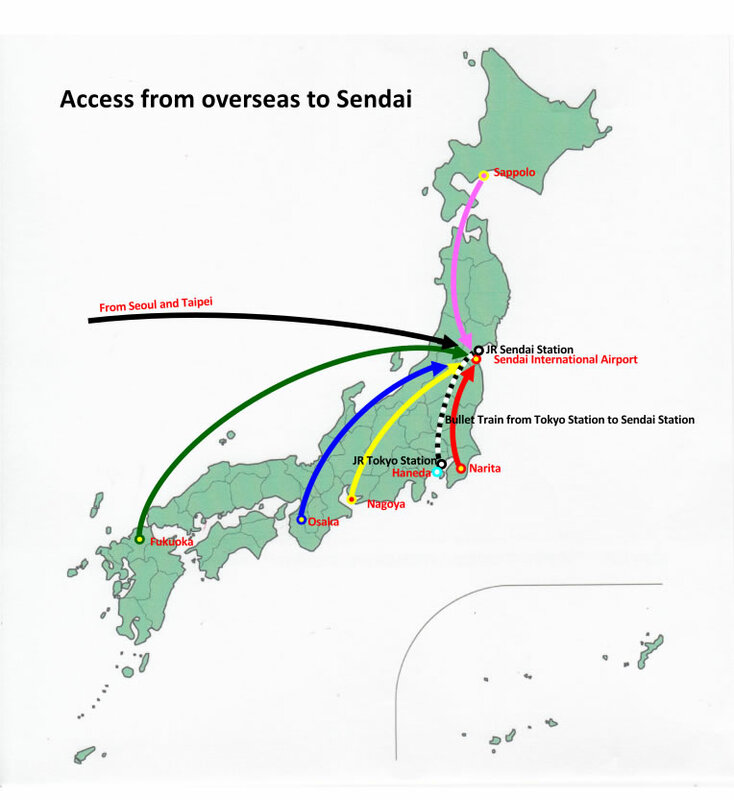 Alternatively, it is possible to take a connecting flight from either Seoul or Taipei to the Sendai International Airport. If you land at the Haneda airport, you could take trains from Haneda to Sendai by the high-speed train, Shinkansen, the "bullet train". The venue is close to the city of Sendai. There will be a charter bus service from the Sendai Station to the venue.